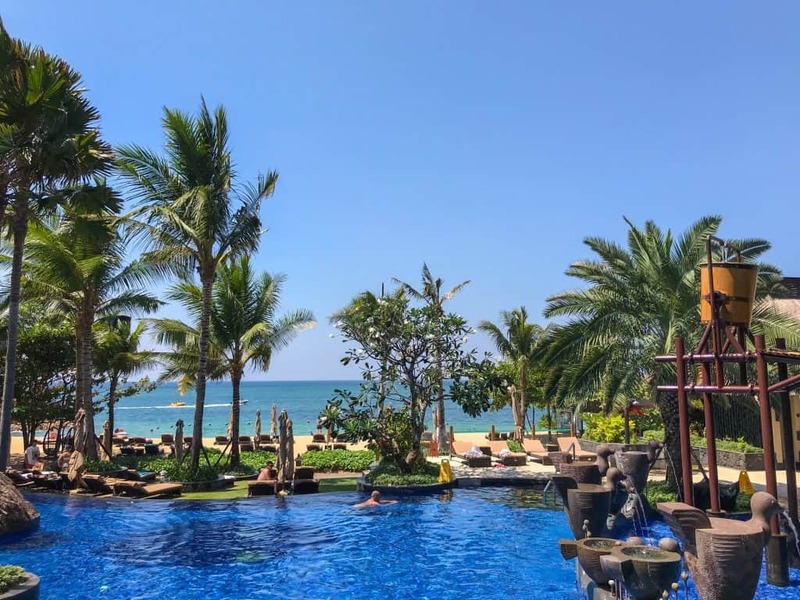 The Holiday Inn Resort Bali Benoa is based in the infamous Nusa Dua. 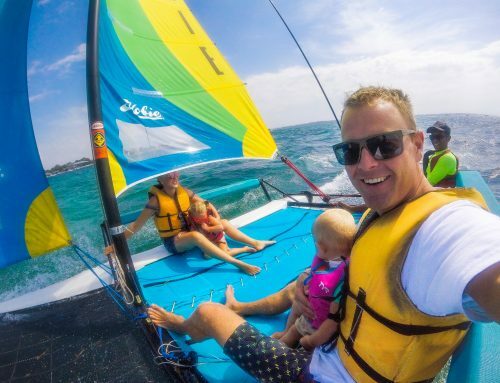 Best known for its pristine beaches, it’s a fantastic destination for those who love the sea, sand and all things water sports. 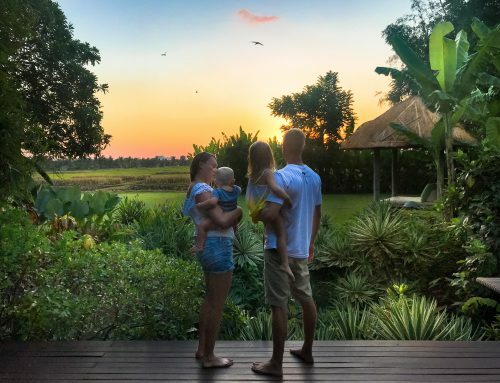 The area is also home to The Reef Foundation making it key to Bali’s marine ecosystems. Of course with that, comes snorkelling and diving opportunities. However it’s the jet skis, parasailing and surfing that is most prominent. The aqua blue shore and white sand are definitely the best I’ve seen on mainland Bali, so we were very happy to stay at The Holiday Inn for three nights because of its awesome location. We had such a fun three days. It’s definitely a family focused hotel. 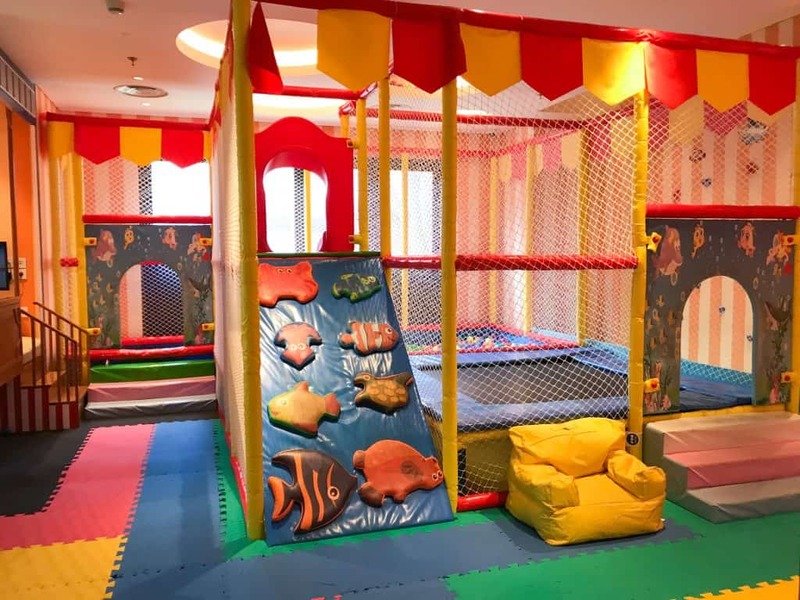 With ample things for the kids to do, we as parents could really relax knowing they were fully entertained and having fun. Of course, we enjoyed the activities just as much as the little ones. 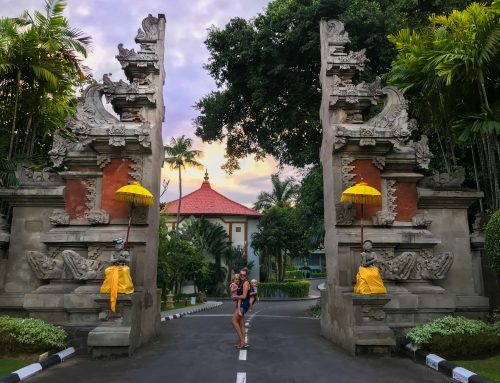 Here are the highlights of our stay at The Holiday Inn Resort Bali Benoa. Our suite on the fifth floor was almost like an apartment. Complete with an entrance hallway, lounge, two bedrooms with an ensuite and two balconies, there was ample space for all of us to move around. We had a massive double bed and a cot in our bedroom. Whilst our daughter had a gorgeous marine themed bedroom. With dolphins and whales as well as aqua coloured soft furnishing she felt like a little mermaid. She had a gorgeous sun that gave mood light or also worked as a night light. She even had her own TV, kids sized wardrobe and little persons bathroom. Everything was within her reach. She loved cozying up in her room, it was such a novelty for her! We were always well stocked up with lovely personal products, drinking water, as well as espresso coffee pods. Good coffee is always a highlight for us sleep deprived parents. Equally we loved having a lounge in the evening to chill out and unwind after a busy day with the kids. The family suite was such a perfect space for all of us. As we mentioned already, we loved the beach at the hotel. Although it was a little windy for our entire stay, we could see it was really lovely when calm. The water and beach were so clean and it was also warm, making it really nice for a swim. The waves weren’t too dumpy on the beach, so it meant the kids could easily play in the shallows. The swimming pool faces the beach. Complete with several little thatched pagodas inside the pool and a kids splash park, it was the ultimate hangout. The pool runs from the front door, right through the entire property. As you can tell, its really big leaving lots of space for everyone. Some of the ground floor rooms had direct personal access from their deck. It was a very cool design. With little bridges connecting either side, the swimming pool was certainly the central feature of the hotel. Esme and I did a Balinese cooking class together. It was outdoors next to the Nudi bar under a pagoda. It was well set up, a full outdoor kitchen. We made a three course meal, all local dishes, it was so interesting. I loved learning about the spices and flavours, whilst Esme loved helping to mix everything. We made a tempeh soup and local vegetables wrapped in banana leaves. The dessert was a green coloured eggless pancake filled with coconut and cane sugar, as well as fruits. They set a table up outside and Esme was very happy for her dad to try all the dishes she made. It was super cute and we both learnt a lot. We were so grateful that the dishes were altered to our diet as vegetarians. Our daughter loved the theatre themed kids club. It is a fully staffed and secure area that is beautifully decorated. It has everything that the kids could possibly want. Complete with slides, ball pits, climbing wall, chill out spaces and lots of toys, the kids loved it. The staff are fabulous and really go out of their way to ensure everyone is happy and having fun. Our daughter did a pizza making class one of the afternoons and then we all had it for lunch afterwards. It was so cute! The Tea Tree Spa was a lovely place to escape and unwind. They offer a variety of treatments from facials, to massages and everything in between. They welcome children as well, and Esme had her ‘first mani and pedi’. She was treated just the same as an adult guest. With a cold cloth on arrival and a welcome drink, she was totally spoilt. She loved the massage that comes as part of the mani and pedi, she was so utterly relaxed, Ive never seen her so quiet. She became a little restless towards the end as she was waiting for the paint to dry, but she otherwise loved the entire experience. I was falling asleep just looking at her half shut eyes! The food at The Holiday Inn Resort Bali Benoa is fabulous. They have a newly launched vegetarian menu which I was happy to try. They have both the Nudi pool side bar and restaurant as well as The Pasar Market Deli and Cafe. There was options throughout the resort for any time of the day. Wether it was the extensive breakfast buffet, or the tapas menu by the pool when we were a little bit peckish, we were really impressed with the food. 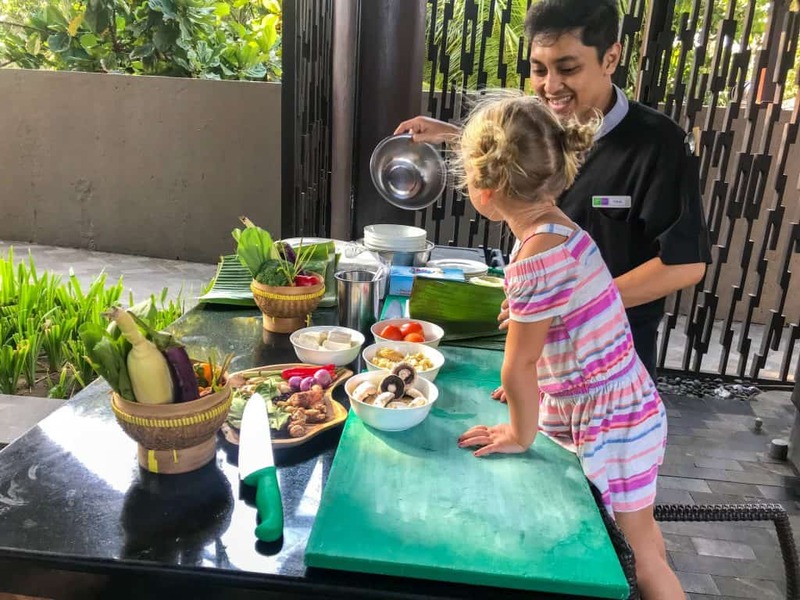 We love the concept ‘kids eat free’ at The Holiday Inn Resort Bali Benoa. With every paying adult, kids can eat free from their very own menu. It makes trips for families that little bit more affordable. On our very first night, we had a really lovely private family dinner on the upper floor of The Nudi Bar. They normally do it on the beach for guests wanting the experience but it was too windy. Infact, I loved it just the way it was. It was private and beautiful. 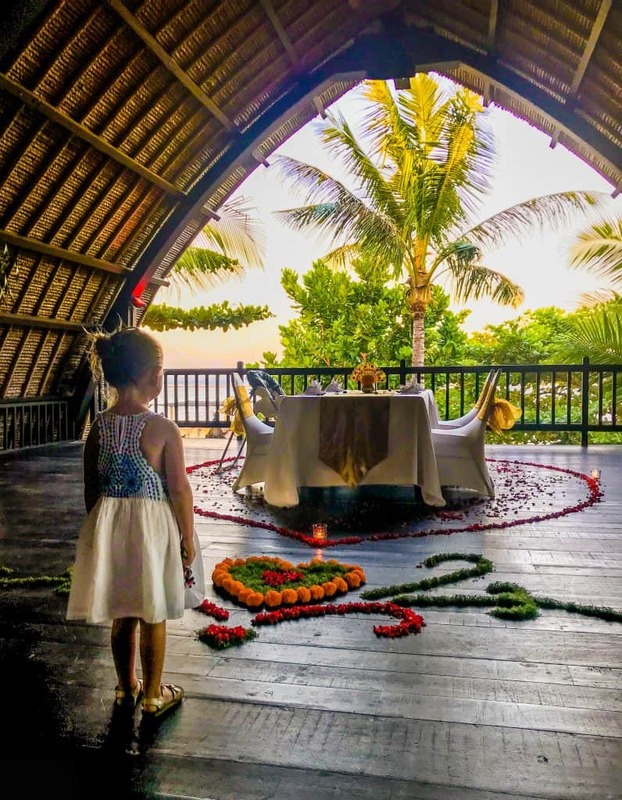 With flowers on the floor and tea light candles, mixed in with a highchair and entertainment for our toddler, it was the ultimate special family dinner. 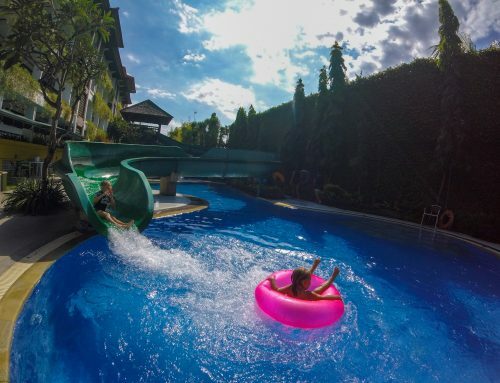 Have you found this review of The Holiday Inn Resort Bali Benoa helpful? Leave a comment, we would love to hear from you. If we’ve helped you in some way, we would love if you could help us too. In this digital age there is a demand for immediate information online. Being a patron is a new-age way of giving a small token of appreciation for this information, which takes time to put together, with no financial return. We offer exclusive access to blog posts before they are published as a thank you. We also offer travel advice and consultancy at different payment tiers. You can sign up to our Patron program here. Disclaimer: This post has affiliate links. Some of our stay was complimentary in return for an honest review. As always all views expressed are entirely my own. What a lovely, kid-friendly resort! 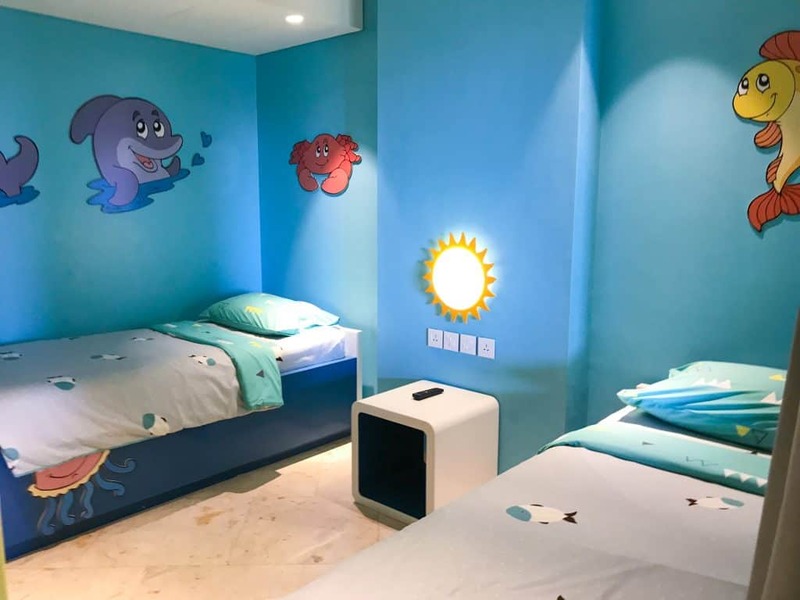 The rooms and the play area are so fun!